Can Sea Anemones Provide The Key To Heart Regeneration? Over the course of your life, you probably won’t have the exact same job from your first day in the workforce to your final hour of retirement. Life happens, career paths change, and you may find yourself completely changing your daily habits, income sources, lifestyle, interests and geographic location. This unpredictability can keep life interesting, although variability and change can be difficult in some ways. The same sort of flexible behavior is not an option for the cells in the human body. Essentially, once a cell decides to “become” a type of cell, that is typically what the cell will be forever. This stability ensures that the cells of our liver don’t decide to change into neurons overnight, but also makes it difficult to regrow essential cells that are damaged or lost during trauma or disease. 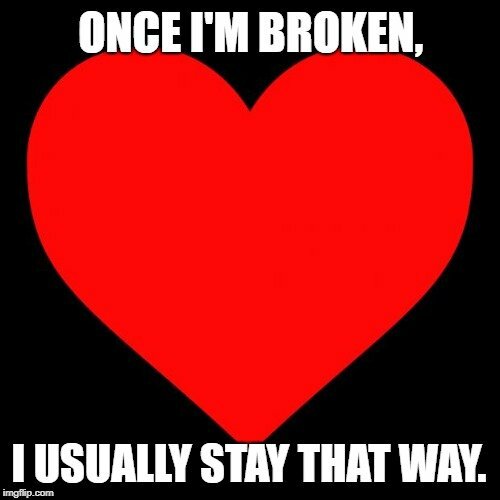 Heart cells, for example, do not regenerate after serious trauma like cardiac arrest, which means that the patients’ cardiovascular health will always be under threat, with no ability to self-sustain or heal. Other creatures, however, aren’t constricted by such rigid rules of cellular function. Recently, a team of researchers from the University of Florida discovered a unique type of cell present in the gut of starlet sea anemones (Nematostella vectensis) that enable this creature to regenerate any type of cell in the body. Although the excitement over this find is still in its early stages, this type of specialized cell could help to unlock the secrets of human cell regeneration. Before we delve into the potential benefits of this discovery, let’s take a closer look at the unassuming creature at the center of this story. What is a Starlet Sea Anemone? Native to the eastern shores of the United States, the starlet sea anemone is a simple, semi-translucent anemone with as many as twenty long tentacles surrounding a central mouth. No longer than 2.5 inches in length, they are usually buried in salt marches with their tentacles exposed to catch passing debris and food. These simple creatures have only 8 different types of cells, whereas humans have more than 200 varieties, but they possess some incredibly unique capabilities. Most notably, and most relevant to cardiovascular health in humans, has to do with their ability to regenerate and survive. If you were to cut one of these anemones in two, both pieces would regenerate into fully formed anemones. When the body recognizes that it is missing key elements of its body, it will enlist other, less essential cells, to change function and regrow the missing part of the body. The gut tissue of these starlet sea anemones proves to be quite unique, and enviable for humans who lack such versatility and control over our cells’ genetic destiny. Despite not having a heart, brain or muscles, upon analyzing the genetic code of this species of sea anemone, it was found that they do possess the genes to code for a heart, but simply don’t produce one. It was also discovered that these anemones lacked “lockdown loops” in the genes, which is believed to be the limiting factor for human cell regeneration. As we mentioned at the top of the article, when humans cells land on a “profession”, they stick with it. The reason they do this is because of lockdown loops, signals within the genes to remain turned on once they’ve been activated. This tiny piece of genetic programming is a means of ensuring that the cells remain reliably in their assigned profession. 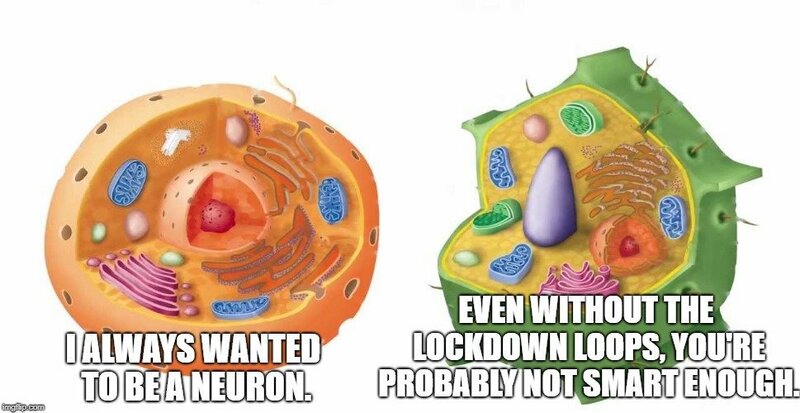 These lockdown loops obviously feed into one another, perpetually reaffirming that they are activated and should remain in that position as a heart cell, a neuron, or an endothelial cell, etc. These lockdown loops are certainly present in our heart, but they are not a part of every organism, as evidenced in the gut tissue of the sea anemone. The genes within this organism can be turned on in much the same way, but they don’t have a feedback loop that keeps them in one place. 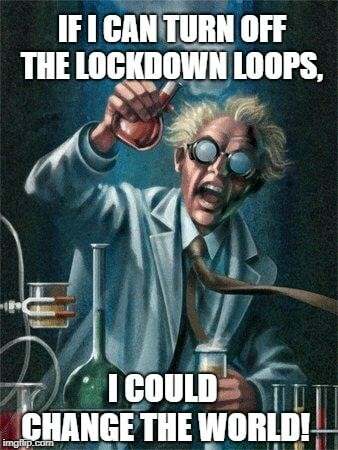 Without the binding of lockdown loops, cells can fluctuate as the organism needs. 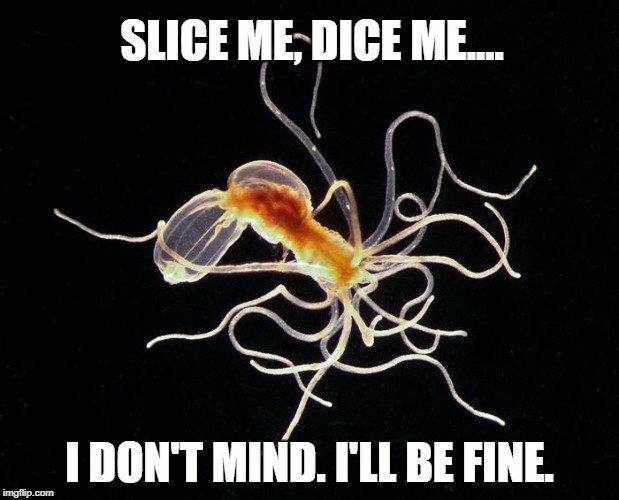 When a starlet sea anemone loses half of its tentacles during a bad storm, the gut tissue cells are able to abandon their old function and position, transitioning into structural cells or other types required to regenerate the tentacles. Imagine if humans could change unnecessary or redundant cells within the body into those cells needed to heal wounds faster or improve organ function after surgery or disease. That is precisely why these unique cells in the sea anemone have captured the attention of cardiovascular researchers. How Could This Affect Cardiovascular Medicine? It is clear that the communication patterns in the genes of sea anemones are not the same as what occurs in humans. By studying these genetic differences and identifying the minute instructions of these lockdown loops (or their lack), we may be able to manipulate how human genes communicate. Again, these potential advancements are only in the early stages, but our ability to work with genes and control them, to a certain degree, improves every single year. The other interesting point to note is that these “heart genes” in the sea anemone are found in humans, as well. It may not look like it, but humans are more closely related to these starlet sea anemones than many other species we consider “more advanced”. The presence of the same genes, one with a lockdown loop mechanism, and one without, suggests that this genetic communication pattern developed later in evolutionary development. Researchers are excited to explore the possibility that if a lockdown loop can develop, perhaps it can also be eliminated. This could open up the possibilities of less invasive and more effective long-term treatment for cardiovascular patients following a major traumatic event—treatment provided by the body itself in the form of regenerating its own essential cells.